Scores of business executives fly all over the world every day on work related trips. Some of them lodge at hotels or motels because they have no idea what else is out there. Nevertheless, much more are starting to book short-term apartment rentals. They have found that this alternative more sensible, relaxed and cost effective than staying in hotels. The first thing to do is find out if the company you are employed for has a loyalty program and inquire about the rates. If you are satisfied, have them make all the arrangements. Usually, in these cases, your company may partner with certain hotels or other lodging alternatives to provide you a place to stay. It makes sense to rent a furnished apartment for a short-term stay, rather than a hotel because of what you get in return. With a hotel you are confined to four tiny walls, a bed possibly a chair and a TV. When it comes to short-term furnished rentals though, you get more. Not only are you sleeping in a comfortable bed, but most of the time you have a kitchen, dining room and living room. Business partners sometimes travel together and end up having to share a hotel room. 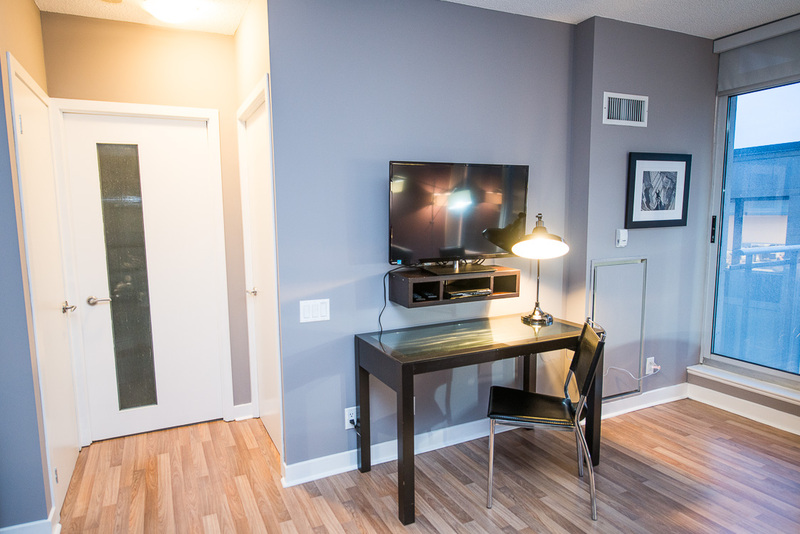 With short-term furnished rentals, it’s possible to have one unit with more than one bedroom. Your associate’s snores will keep you up no more. Short-term rentals provide a relaxed atmosphere with cozy furniture. When you add up all the expenses you generally would pay to stay at a hotel, you would find that short-term rentals are core cost effective. Instead of eating out every night, you have the capability of cooking your own food. These furnished rentals also offer way more space in comparison to hotels. Most business people wouldn’t even dream of inviting a client into their hotel room. However, with the short-term rentals, there’s often enough character in the unit to make it suitable for having meetings. This is also true for entertaining. Short-term rentals for business trips are becoming widely accepted amongst the executive communities. This is not startling when you compare the advantages of this kind of accommodation. It allows business travelers the occasion of stay somewhere reasonably priced, realistic and homey, and can make a voyage for employment purposes way more enjoyable and relaxing. Booking the finest furnished short-term apartment happens with SkyViewSuites (www.torontofurnishedrentals.com). They are devoted to assisting anyone to find a perfect fully furnished short-term rental to stay for all business trip needs. With a vast selection of short-term condos across Toronto it is easy to make accommodations.